Full service and Online Trading. International, multi-currency market for real-time buying and selling of gold bullion at openly competive prices. All bullion is held in the Brinks vault of choice in London, Zurich or New York. All accounts are openly audited daily. A list of over 60 North American most popular Gold Stocks with quotes, charts and other data. We specialize in helping investors diversify a portion of their portfolio into hard assets such as gold, silver, and platinum through the purchase of bullion coins, bars, or numismatic items. Our website is designed to facilitate your education in the Precious Metals and their markets. We abhor high-pressure sales tactics, and seek to earn your business by providing the best information and services available. We hope you enjoy this site and will add us as one of your favorites. The Silver Institute is a nonprofit international association that draws its membership from across the breadth of the silver industry. This includes leading silver mining houses, refiners, bullion suppliers, manufacturers of silver products and wholesalers of silver investment products. Established in 1971, the Institute serves as the industry's voice in increasing public understanding of the many uses and values of silver. Online trading of physical commodities such as gold, silver and base metals. Invest money, just like in the stock market, but in actual commodities. Your money leveraged up 10-1! 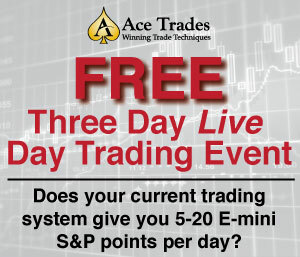 Free online software available to use live or as a trading game/demonstration. Real time prices through our charting pachage - free to registered clients. New England Coin Co. offers premium quality coins, specializing in high grade silver half dollars. This site has a lot of information on London and other world gold markets as well as real-time quotes of spot prices in NY. Crystal Bay Trading deals with all kinds of Precious Metals and gems. Their site is a resource for real time spot prices, diamond price guide & forum, news and information, access to their bulletin boards, and a directory of dealers organized by state. The purpose of this site is to offer a research link to understanding Gold as an investment. The International Precious Metals Institute is an international association of producers, scientists, users, financial institutions, merchants, and the general Precious Metals community. Through their website, the PMI provides articles, upcoming events, buyers guides, buyer/seller links and recent prices. Unaffiliated with any fund or brokerage, EagleWing publishes a monthly Newsletter covering 33 U.S. based gold funds each week filled with hype-free information. In addition, free research on U.S. precious metal mutual funds is available on their website. Built on the premise that wisdom will produce wealth for those who possess the knowledge, the Gold-Eagle website possesses a wide variety of resources including a gold digest, quotes, charts, global news, gold funds reviews, chat rooms, Asian and South African perspectives, and editorials. Coin Connoisseur Magazine is the premier source for coin and Precious Metals investors and collectors. Monex provides you with updated prices of Precious Metals, expert outlooks regarding future prices and information on how to invest in Precious Metals. Collectibles Border Gold Exchange deals in Precious Metals including gold and platinum bullion coins. Johnson Matthey is a world leader in advanced materials technology, applying the latest technical skills to add real value to Precious Metals and other specialised materials. The company is committed to profitable growth and increasing shareholder returns. 24 hour online futures trading in Precious Metals. Discount commission for all markets, daily Precious Metals reports, free quotes and charting, technical analysis and trading systems. Customer service provided by 20 year futures industry veteran. We strive to bring you rare coins at the best prices possible. 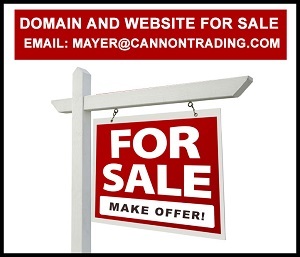 Our site has much of our certified inventory listed with pictures, prices, and click-to-buy for secure online purchasing. Hecla Mining Company is a Precious Metals company with an important industrial minerals component. Our business is to create value for our shareholders by discovering, acquiring, developing, producing and marketing mineral resources at a profit. The Copper Development Association provides access to its Copper Data Center database free of charge in an effort to increase knowledge and awareness of copper, related technologies, and the role of copper in the environment. A full service Precious Metals trading company offering a wide array of products and services. Jewelers of America, Inc., is the largest association of jewelers in the world. JA's mission is to provide consumers with information and education about fine jewelry. The Gold Institute is an international trade association of companies that mine and refine gold, manufacturers of gold products and the world's leading bullion banks and gold dealers. A number of vendors that supply the industry with mining products and equipment are also members of the Institute. The Commodity Futures Trading Commission (CFTC) was created by Congress in 1974 as an independent agency with the mandate to regulate commodity futures and option markets in the United States. The agency protects market participants against manipulation, abusive trade practices and fraud. Through effective oversight and regulation, the CFTC enables the markets to serve better their important functions in the nation's economy--providing a mechanism for price discovery and a means of offsetting price risk. Blanchard's on-line guide to the Gold American Eagle, the world's most popular gold bullion coin. Featuring Live Online gold coin and Precious Metals trading - Live Market Quotes - Spot Prices. Gold Masters Coins and Precious Metals hosts live online Precious Metals trading featuring up to date gold coin and precious metal prices. Let our 30 years of experience work for you. Currency Exchange deals in Precious Metals including gold and platinum bullion coins; foreign exchange wires and drafts. Complete up to the minute buy/sell spreads on all major gold, silver, and platinum bars and coins. Best prices and professional service. Serving the numismatic and Precious Metals markets since 1977 in all aspects concerning gold, silver, platinum, coins, rare coins and numismatics, bullion and precious metal investments. Live Precious Metals prices and news from around the clock. A sophisticated charting tool allows do-it-yourself technical analysis plus it offers a huge database of links to related Precious Metals sites. The most popular Precious Metals site in the internet. Featuing quotes, charts, news, and discussion. Wexford Capital Management (WCM), a registered investment advisor, offers a Tangible Asset Program for investors & collectors to diversify into certified U.S. rare coins, gold/silver bullion coins & bars, and other real-asset investments as deemed appropriate. Bullion Precious Metals from world famous mints and refiners in coin and bar forms. On-line ordering by credit card, personal check or bank wire. Securely Ordered, Safely Delivered (sm). Serving Rare Coin and Precious Metals Investors Since 1960. Spent petroleum performing catalyst containing platinum, palladium, gold rhenium and germanium, Gemini is largest processors of this material for recovery of PGM's. FREE Rare Coin Profit Report! All about collecting U.S. rare coins, gold rare coins, silver dollars, American Eagle gold coins, and platinum coins. Low prices on all gold coins and rare coins. Silver State Coin & Bullion offers a large selection of Rare Coins as well as Gold and Silver Bullion products for sale. Gold bullion at near wholesale gold prices. Gold Eagles, gold Krugerrands, gold Maples, gold Sovereigns, gold Pandas, Australian gold Dragons, gold Snakes, gold Kangaroos. Gold bars. Gold portfolios. Old Mint Coin & Bullion is located in Carson City right across the street from the U.S. Mint. We specialize in rare US coins and currency, as well as servicing our silver and gold customers. International Coin and Stamp Inc.
International Coin and Stamp, Inc. provides for all your coin, stamp, and bullion needs with personal and prompt service. United States Gold and Silver Coins. Collector type coins. Morgan and Peace silver dollars. Saint Gaudens and Liberty Gold. All bullion products. We buy and sell all. Gold coin collecting and precious metal investing online: real-time pricing, retirement planning, trading accounts for coins and bullion, win free gold. Gold coins and silver coins and Precious Metals from MJPM.COM, Michaels Jewelers and Precious Metals. Price spreads updated daily. Buy Gold American Eagles. First Order Shipped Free Over $100! Select coins from American Eagle gold coins, silver dollars, and platinum coins, Canadian Maple Leaf gold coins, World gold bullion coins, silver dollars and classic U.S. Mint gold coins. This gold newsletter helps you profit with gold stocks. Learn about the cycles in mining and gold stocks. BullionDirect: Buy and Sell Gold, Silver, and Platinum Coins and Bars for Investing, Collecting, or Numismatics on our Unique Order Matching System. Also, sells/buys American Gold Eagles, Canadian Maple Leafs, South African Krugerrands, and Chinese Pandas in many forms of Precious Metals or bullion. Pure gold, silver, and platinum is also available for investment or to just hedge or diversify a portfolio. Dealing in Platinum, Gold, Silver, Rare Coins and more. The Global Gold Store is your online source for gold coins from around the world. We search high and low to bring you the most beautiful, desirable and collectible gold coins available. Not only are they exquisite works of art, they are desirable investments as the collector value of these coins has grown from year to year. The National Collector's Mint serving your collecting needs for U.S. Coins, currency certified coins, world coins, silver dollars, bullion coins and state quarter commemoratives. Offering personalized, efficient Precious Metals services directed towards those seeking asset and purchasing power protection. In an overly automated business world, clients appreciate our attentiveness, efficiency and non-nonsense, manner. Our specialty - the Precious Metals IRA. Dedicated to providing vital research and information pertaining to trading commodity futures and options. Lee Capital Management specializes in technical, fundamental and computerized analysis of the futures markets. Offers first time as well as the experienced trader a Complimentary Trading Package which includes Charts, Research Reports and Booklets on how to trade the futures and options markets. Call toll free 888-516-6894 or email lcm@mc.net. The international news service of American Metal Market, the daily newspaper of the metals and recycling industries. Top stories, columns, metal prices, industry news and links to related sites. The World Gold Council helps individuals that are interested in gold as a reserve asset and explains the demands of the gold markets. There is in-depth information about different ways to invest in gold that meets the investor's specific needs. The site also includes a large amount of up to date news with a weekly commentary on the gold market. There is also a list of U.S. Precious Metals Dealers to better assist you with gold market needs in your area. For those interested in the history of gold markets there is historical chronology of gold and the international monetary system. The Capital Asset group of companies is your source for financed Precious Metals investments. Capital Asset Trading, a Precious Metals dealer, can assist you with gold investments, silver investments, commodity investing, currency trading, bullion coins and industrial metals investments. a complete metal industries information resources directory on web. List of metal industries, Metal mining companies, metal processing companies, metal products manufacturing companies, metal export companies, metal import companies, metal recycling companies, metal transportation companies information.